Canada’s Argonaut Gold (TSX:AR) is expanding its Mexican portfolio with the acquisition of Cerro del Gallo gold-silver project from Primero Mining (TSX:P), in a deal value at $15 million cash. Gold-silver project is located in central Mexico’s Guanajuato state, not far from Argonaut’s four other properties in the country. The Toronto-based miner could potentially reduce the total investment by $1.7 million through recovery of value-added tax, it said in the statement. CDG is located on the San Anton property in central Mexico’s Guanajuato state, not far from Argonaut’s four other Mexican properties. Those assets include the 100% owned El Castillo gold mine and San Agustin gold-silver mine, which together form the El Castillo Complex in Durango, Mexico, as well as the 100% owned La Colorada gold-silver mine in Sonora, Mexico. Argonaut also owns 100% of the advanced development stage, San Antonio gold project in Baja California Sur, Mexico. 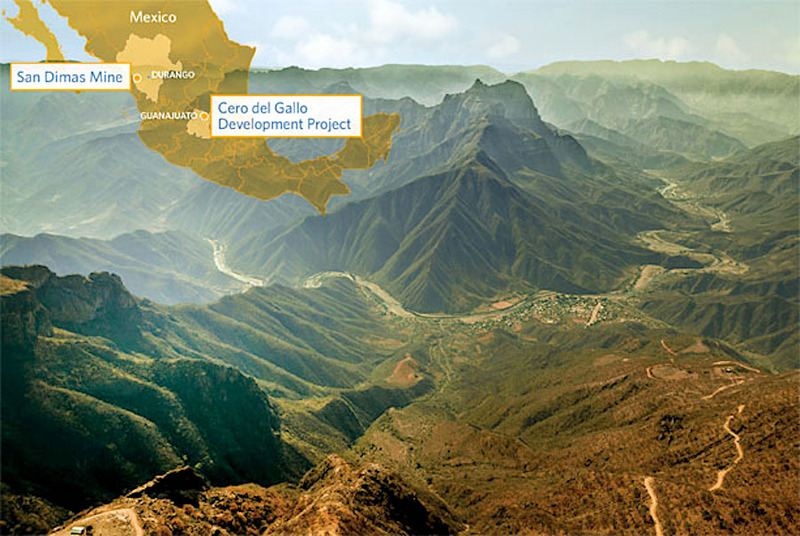 Based on a definitive feasibility study completed by Primero Mining in 2012, the Cerro del Gallo project has an initial life of seven years, which could reach 14 years through a second stage carbon in leach/heap leach mill expansion. The open pit operation could produce 4.5 million tonnes per year for 95,000 oz. gold equivalent at $700 per ounce.